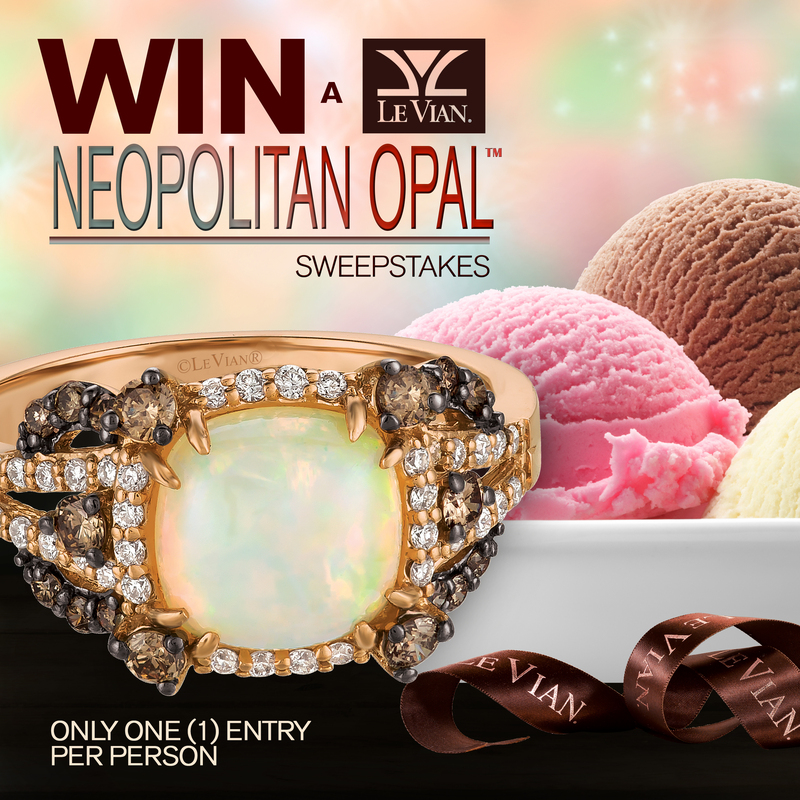 To celebrate the 2017 Gem of the Year, the iridescent October birthstone, we're giving YOU a chance to win this Le Vian Chocolatier® Limited Edition Neopolitan Opal™ & Chocolate Diamonds® Ring! Random drawing for one lucky winner will take place on or about Friday, November 11, 2016. You must be 19 or older to enter. This promotion is in no way sponsored, endorsed or administered by, or associated with, Facebook. You are providing your information to Le Vian Corp. and not to Facebook. The information you provide will only be used for future notifications about sweepstakes and new product offerings. Thank you for entering! Random drawing will take place on or about Friday, November 11, 2016.